Behold, this immaculate lot nestled in the heart of Paradise Valley is the last of its kind! How can you possibly pass up this opportunity to build on one of the highest valued streets in Paradise Valley?! Sitting at 1.33 acres, this lot holds plenty of space for your custom home! 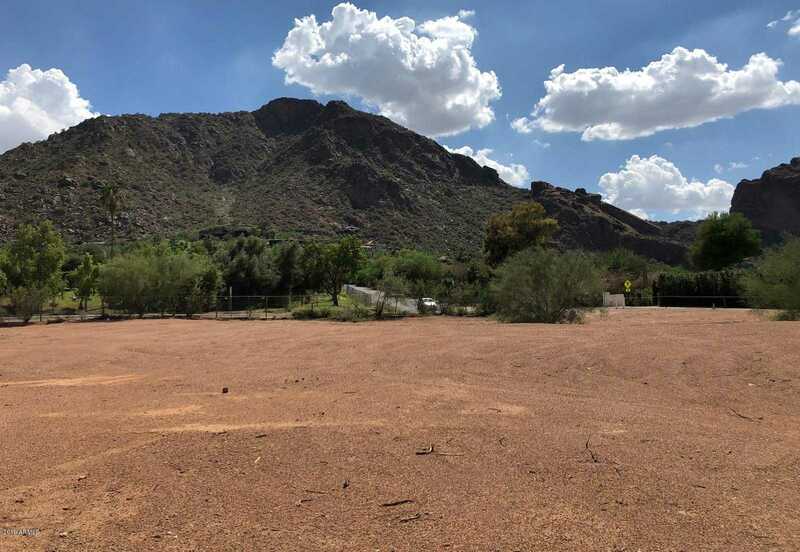 Beautiful views of Camelback Mountain, walking distance to Echo Canyon hiking trail, and just around the corner from Sanctuary Resort and Mountain Shadows Resort! Coming soon as well, the residents of Nauni Valley have approved a community gate to be installed for even more privacy! Please ask agent directly for floor and site plans designed by Mark Candelaria!